Both of our current "questing" games have been temporarily disabled due to a glitch that was reoccurring with every user's account when they were being completed. They will be back once the glitch has been resolved. 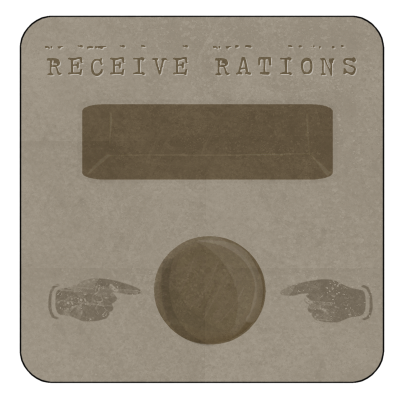 Things seem to be getting festive a bit early this year, there's a new festive ration, pick yours up today! First and foremost: We have a Poll page! Meaning no more forum polls. As you may, or may not have, noticed, the about page has been updated to show the correct, and current, list of staff. As you can see there, it lists Zin as second in command. What does this mean, you may ask? It means that Zin now has access to the codes of the site and can work on coding, with the help of Joe I can now fix little things on the site. This also means that I am stepping up if he falls into absence do to is real-life college experience. It is true that I too go to college, but I happen to have more daylight hours, so to speak... I have time after school and during to work on things and take user opinions, questions, etc. This does not mean that I am replacing Joe, at all. In fact the only thing it means is that I am going to be doing a lot of the technical works on the site until he has enough time to keep up on the site. This will probably be deleted almost immediately but I've tried encrypted several bugs to ensure it's up here long enough for you guys to see. I don't know how much longer we can live like this for? The Harenian government has turned. It's corrupt. Everyone's future could be at stake here, not just the infected pets! The Harenian government are planning to fumigate Settlement One, and all surrounding areas, no matter what we say or do, this has been their intention since Brandhardt was woken. How do you know I'm telling the truth? You don't, you'll have to believe me, unless you would rather see innocent pets perish. Think about it, the Cruithnean governors propose a Quarantine on Settlement One, we vote against it and it supposedly doesn't pass. Yet there's still restricted access to the area. The Harenian leaders insist that Brandhardt cannot siege war on the infected, yet sand demons (and worse) are attacking not only infected pets, but ordinary ones too! Yet they continue to do nothing about it. Few updates have been posted regarding the current events, these have obviously been censored to maintain Harena's reputation. They're not planning to tell anyone about the fumigation so I needed to. Who am I? I go by the alias, Barspike, though I worked closely with the Harenian's for much time... you must trust me on this. We've changed how you buy Premium Accounts. It's now much easier and quicker! Just order one from here, and you'll instantly receive an e-mail containing instructions and a confirmation code. Providing you follow the simple instructions correctly, you'll receive a 1 Month Premium Membership Trophy which will appear in your inventory which you can then activate, sell, auction or give to a friend! Also, I've added a nifty reminder on the sidebar to the recent premium members (so this won't work on older accounts) which tells you when your account runs out! Also, you actually receive shop tokens thanks to the new coding. To celebrate this, I will be auctioning 2 1 Month Premium Membership Trophies for 1dP at the Auctions! You can now adopt and disown pets! The Edit Post Button has FINALLY arrived. Now you can make loads of mistakes and not look like an idiot.